A recent study by SteelHouse showed that 55% of the interviewed sample shared its purchases on Facebook, while 14% did it on Pinterest. 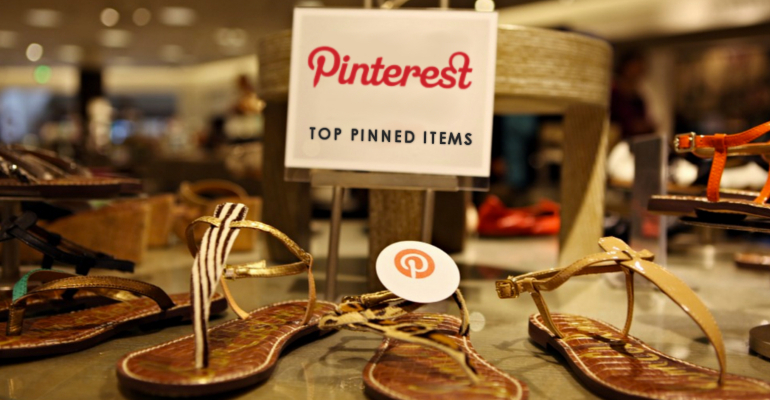 But Pinterest users are 79% more likely to buy a product that has been “pinned” by people they follow. When it comes to online social shopping, “pinned” products are bought much more frequently on Pinterest than products published on Facebook newsfeed or walls. The latter was found by a recent research conducted by SteelHouse and uSamp named “Social Shopping 2012”. Almost all of the surveyed sample answered ‘yes’ to the question: “Facebook or Pinterest play an essential role in your experience as an online shopper?”. Specifically, the study showed that Pinterest users are 79% more likely than Facebook users to buy products that have been “pinned” by people they follow. Only 33% of Facebook users have purchased a product or service that they have seen on the homepage, on sponsored ads or on a friend’s wall, while 59% of Pinterest users have bought a “pinned” product. At present Pinterest has 12 million users (this figure is rapidly increasing) who remain on the site for an average of 16 minutes, significantly than the average time spent on Facebook, which is 12 minutes (the source is Mashable). 54% of Pinterest users are 25 to 34 years old and have a diploma (58%). It is also interesting to note that 68% of those who use this social network are women. The second age range, between 35 and 44 years, together with the first range accounts for 88% of all registered users. In Italy Pinterest users have grown at an amazing rate: between 2011 and 2012 their number has increased by 794% and the average visit lasts 13 minutes (the source is Google ADplan, 2012). Nonetheless, Facebook is still the most popular channel when it comes to sharing purchases: 55% prefer Facebook, followed by Twitter (22%), Pinterest (14%) and Instagram (5%), and finally LinkedIn with 3%.